80cm long mixed color wig has been designed with fairly high quality, the texture is really smooth as you can feel with your fingers to get the very comfortable touch. With superb quality fibers as material, it comes out just few hairs when brushing. It is very very soft and easy to maintain. 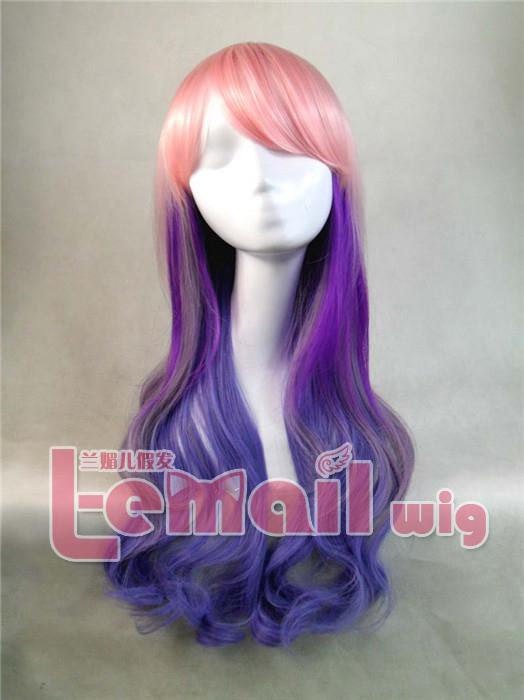 The mixed color is a bright spot of this wig, starts from very soft pink color, goes through its romantic purple tone and reaches the very awesome dark blue, very elegant and fashionable color matching! And the thickness is quite similar to real hair. After trying it on, you will find yourself can’t live without if and just want to wear it almost everyday. It’s very thick so people won’t be able to see any of your natural hair under your wig! 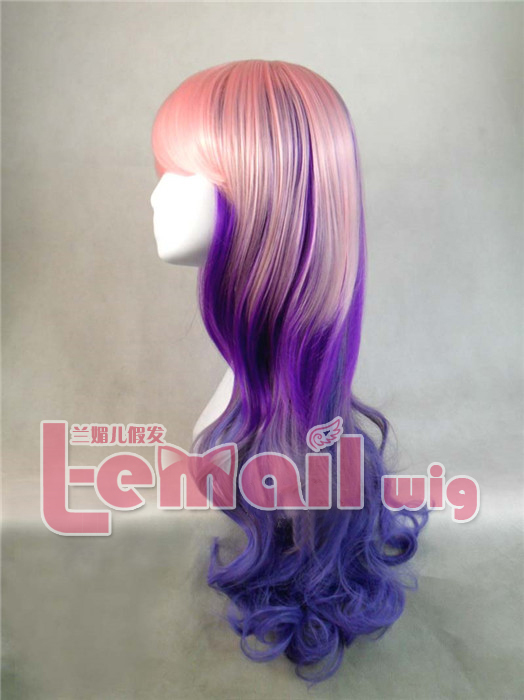 This entry was posted in Buy Cosplay Wigs, Fashion Wigs and tagged 80cm long wave cosplay wig, long cosplay wigs, mixed color wigs, wig maintenance and care.